I always loved the old site of the Four Seasons in Philadelphia, which has since become the Logan Hotel. I cannot wait to see the new Four Seasons when it opens in Center City at Arch and 19th Streets! I know this new 60-story home will be nothing short of incredible. The top of the Art Museum Steps is an amazing place for wedding photography! 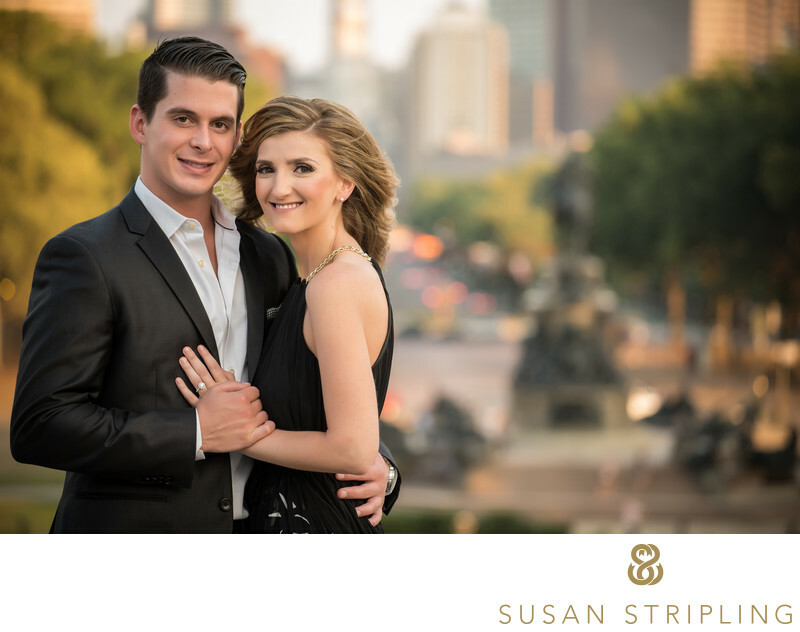 During the portrait session of the bride and groom at this particular 2012 Four Seasons Philadelphia wedding, we left the hotel and traveled around the city. We stopped at Love Park and the Art Museum to take some portraits of the two of them before heading back to the hotel for their wedding ceremony. I love the Art Museum area of Philadelphia for the unparalleled iconic views of the city and the multiple locations there to make beautiful portraits. In Eakins Oval there is a gorgeous fountain that I love to go to for portraits. This is a great part of town because Eakins Oval is a traffic circle that connects Fairmount Park, the Benjamin Franklin Parkway, and Kelly Drive. 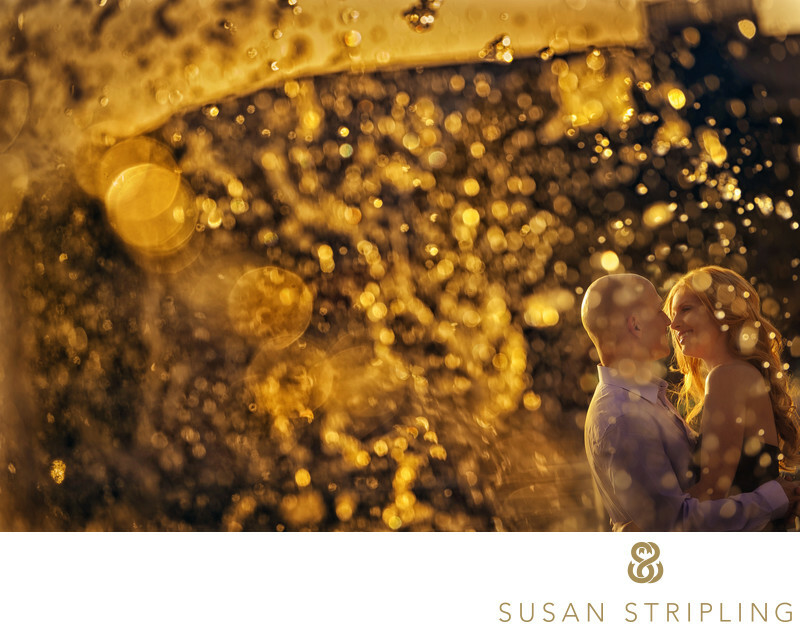 In this Oval is the Washington Monument Fountain and that’s where this wedding portrait was taken. 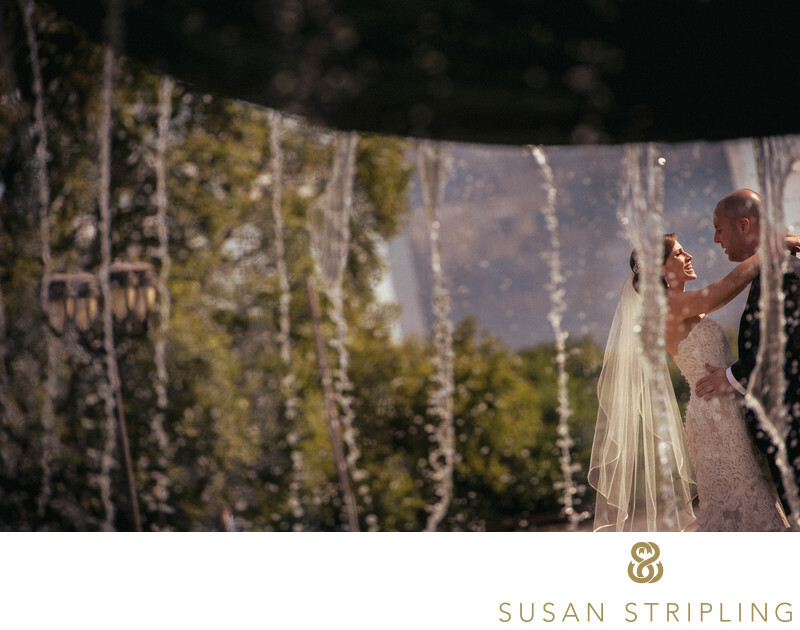 I love the way the water from the fountain adds visual interest and leading lines to what could have been a simple portrait of a bride and groom. I love portraits around fountains, especially in the summer. And especially at sunset. And especially in Philadelphia. I love the way the bride is looking at the groom. I love, love, love her wedding dress. I especially love the light on her face, the bright blue sky behind them, and the bright greenery in the distance. 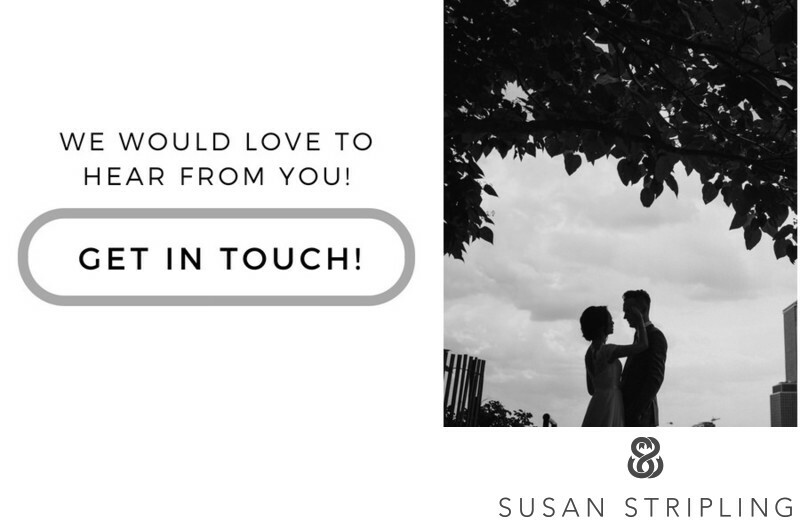 If you are planning a wedding at the new Four Seasons in Philly, I’d LOVE to hear from you! I cannot wait to start photographing weddings in their immaculate new space. While my business is based in NYC, I do spend half of my time in Philadelphia and there is no travel fee to go to Center City. Keywords: Art Museum (12), Four Seasons Philadelphia (21), philadelphia (435). 1/2500; f/4.0; ISO 200; 200.0 mm.